The news that 1MDB and Abu Dhabi’s IPIC has come to a USD6 billion settlement instead of continuing with their international arbitration has come to a shock to many but not to me. I had always believed that IPIC had the most to lose should the arbitration continue. Mr Khadem Al Qubaishi was IPIC’s managing director of IPIC and also the Chairman of Aabar Investments. As late as the year 2015, he was listed as the Arab world’s 14th most powerful person. Qubaishi and the Aabar CEO Mohamed Badawy Al Husseiny, who are also the targets of the US Department of Justice civil case for money laundering, are he ones most complicit in the 1MDB-IPIC dispute. 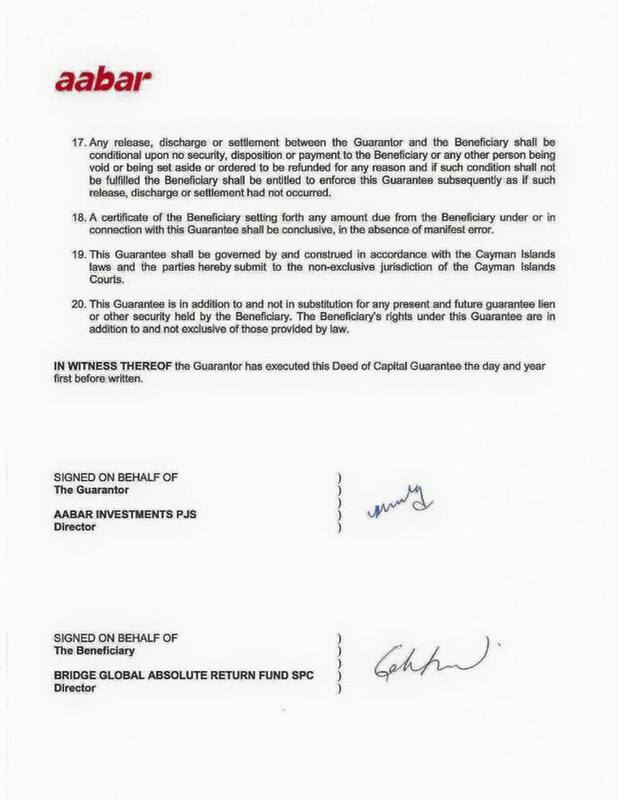 Money from 1MDB had entered into their own accounts, their signatures are everywhere in all the agreements between 1MDB and Aabar and they are also the owners and directors of that so-called “Fake Aabar” in the British Virgin Islands. The evidence on them is overwhelming. By right, they would be the first ones charged for fraud, corruption and abuse of power and yet both have never been charged. The reason is simple. If they are charged for those crimes, it is an admission that Abu Dhabi’s top officials had defrauded 1MDB with fake companies and unauthorized fund receipts. This would mean that 1MDB would immediately win the arbitration over IPIC. Qubashi and Badawy being found to be guilty would also be very embarrassing for the Abu Dhabi government.as it would be like our Chairman and CEO of Khazanah or PNB being found guilty of falsifying documents and companies to cheat billions from other countries. Therefore, it is no surprise that IPIC had agreed to abandon the arbitration and reach a settlement with 1MDB. For the longest time, IPIC had never recognized that 1MDB had paid them USD3.5 billion and that Aabar had guaranteed 1MDB’s two fund units – the so-called Brazen Sky Cayman fund units and the GIL funds. To recap, 1MDB still had two financial assets in the form of units. 1) The Brazen Sky units of US$940m. This is balance of the US$2.38b profits and capital of the US$1.8b investment in PetroSaudi. where US$1.44 b had already been redeemed and used. This fund is guaranteed by the real Aabar PJS (although IPIC had initially disputed this). The initial transfer from 1MDB to PetroSaudi was the source of all those allegations that Riza Aziz and Jho Low had received all those money. Now since 1MDB not only got back all the money but even made a decent profit of USD500 million on the investment in PetroSaudi, it means that no funds were stolen here and all investments made by PetroSaudi was legitimate – hence no crime committed. 2) US$1.5b GIL funds, also guaranteed by Aabar PJS. This is balance of the US$3b GIL 2013 bonds. where US$1.5b was retained for 1MDB’s own use. It is this US$1.5b GIL fund which people allege the RM2.6b in Najib accounts came from. If this fund is now redeemed, it means that the RM2.6b cannot possibly be stolen money since no money has been stolen. It looks like the recent recovery of oil and commodity prices have allowed for the assets under these two funds to recover and to be realized by the fund managers. It is not clear if IPIC/Aabar had also honoured its guarantee and assisted in redeeming these units but it’s highly possible given that IPIC does not want to risk anymore embarrassment. Using the USD2.5 billion proceeds 1MDB can now repay the US$1b paid by IPIC in June 2015 plus all remaining interest for the US$3.5b bonds guaranteed by IPIC. Let’s list the individual components as a,b,c,d,e and f.
a) USD 3.5 billion cash deposits paid to Aabar BVI. As you can see, b, c, e and f has been settled. This leaves a) and d) to be settled. With that, the dispute with IPIC is now limited to the “a) US$3.5b assets that 1MDB insist it had paid to IPIC, which IPIC denied receiving and was the key issue in their arbitration. But now IPIC has finally admitted that there was such payments and said that they will work with 1MDB to resolve these payments which would then be used by 1MDB to pay for the d) USD3.5 billion bonds when it eventually comes due in five years time in the year 2022. That is why IPIC and 1MDB are giving themselves up to the year 2020 to settle this and would not resort to any lawsuits between each other during this period. The arrangement also means that 1MDB does not give up its right to legally sue IPIC for these USD3.5 billion but can only do so after the year 2020. 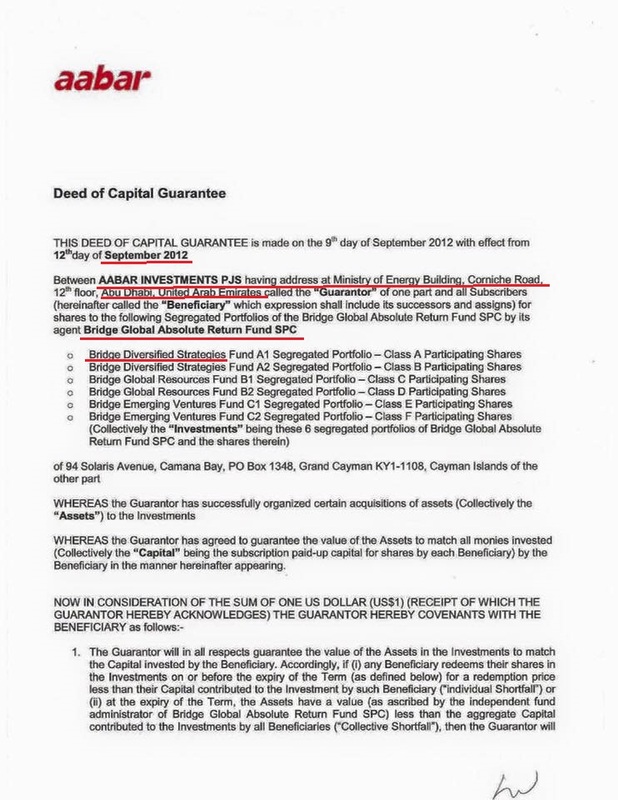 This settlement is clearly still within the spirit of the original June 2015 Asset-swap arrangement and is in fact, clearly a progression of that deal. 1MDB has clearly made good progress to recover their money and pay off debts and I can see redemption or sale of the fund units as the second last step. It is hoped that 1MDB and IPIC can take that final step to resolve the final USD3.5 billion. The fact that IPIC has now finally acknowledged there was USD3.5 billion of such payments from 1MDB to “certain parties” means yet another critical step for 1MDB to finally clear all its controversies and “missing money” allegations. A basic foundation of the July 2016 US DOJ civil suit was due to the fact that 1MDB said it had paid money ti IPIC but IPIC had then said earlier in 2016 they did not receive such money – thus there is missing money and hence money laundering. Now that IPIC has admitted that there was such payments then there is no “missing money” and hence no money laundering. For a more detailed recap on why all those allegedly “missing money” was never legally owned by 1MDB and why I think the USA DOJ civil case and Swiss investigations will now fail , read my July 2016 post.